The fact is your gut has a limited repertoire. GI symptoms could have many causes. For people with RA, GI symptoms are often medication related. 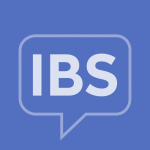 However, a few researchers wonder whether there is a link between immune activation and functional GI disorders, such irritable bowel syndrome (IBS).3 It’s an intriguing idea, but still speculative. The link between non-steroidal anti-inflammatory drugs (NSAIDs) and GI problems is well established. Common upper GI problems include heartburn, reflux, and indigestion.4 Serious upper GI problems include bleeding, obstruction, perforation, and ulcers.4 COX-2 inhibitors may be less harmful for the upper GI than non-selective (traditional) NSAIDs.4 Use of proton-pump inhibitors can protect against these adverse effects.5 Behavior changes may also help to improve reflux and heartburn. Irritable bowel syndrome affects about 10% to 25% of the general population.8 IBS is classified as a functional disorder, eg, one that is related to problems with gut-brain interaction, abnormalities in how food moves through the gut, and a variety of other factors. Whatever the cause, having GI symptoms on top of everything else is frustrating and unpleasant. It is important to discuss them with your health care provider. Share what you have discovered about the timing and triggers. Working together, you may be able to determine the reason for the symptoms and make adjustments accordingly. Myasoedova E, Talley NJ, Manek NJ, Crowson CS. Prevalence and risk factors of gastrointestinal disorders in patients with rheumatoid arthritis: results from a population-based survey in olmsted county, Minnesota. Gastroenterol Res Pract. 2011;2011:745829. Lacy BE, Mearin F, Chang L, Chey WD, Lembo AJ, Simren M, Spiller R. Bowel Disorders. Gastroenterology. 2016;150:1393-1407. Koloski N, Jones M, Walker MM, et al. Population based study: atopy and autoimmune diseases are associated with functional dyspepsia and irritable bowel syndrome, independent of psychological distress. Aliment Pharmacol Ther. 2019;49:546-555. Sostres C, Gargallo CJ, Lanas A. Nonsteroidal anti-inflammatory drugs andupper and lower gastrointestinal mucosal damage. Arthritis Res Ther. 2013;15 (Suppl 3):S3. Gullick NJ, Scott DL. Co-morbidities in established rheumatoid arthritis. Best Pract Res Clin Rheumatol. 2011;25:469-483. Nikiphorou E, Negoescu A, Fitzpatrick JD, et al. Indispensable or intolerable? Methotrexate in patients with rheumatoid and psoriatic arthritis: a retrospective review of discontinuation rates from a large UK cohort. Clin Rheumatol. 2014;33:609-614. Bello AE, Perkins EL, Jay R, Efthimiou P. Recommendations for optimizing methotrexate treatment for patients with rheumatoid arthritis. Open Access Rheumatol. 2017;9:67-79. Ford AC, Talley NJ, Walker MM, Jones MP. Increased prevalence of autoimmune diseases in functional gastrointestinal disorders: case-control study of 23471 primary care patients. Aliment Pharmacol Ther. 2014;40:827-834.